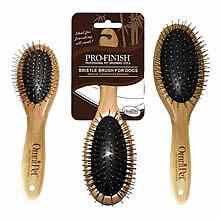 The combination pin and bristle brush will suit all your dog's grooming needs. Brushing helps to release dirt particles and loose hair from your dog allowing for a healthy, shiny coat. Pin brushes help increase blood circulation. Rounded tip pins for comfort. 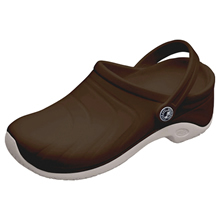 The Bamboo handles are made out of Eco-friendly Bamboo which is lightweight, stronger and more durable than wood. #8257 Size Small Pin & Bristle Brush 7-1/2 inch. #8258 Size Medium Pin & Bristle Brush 8-1/2 inch. #8259 Size Large Pin & Bristle Brush 9 inch.